King Ocean Front Master With Flat Screen TV and Full En-Suite Bathroom, both come with all bed and bath linen. Queen Room with ocean view and Private Bath. All bed and bath linen included. 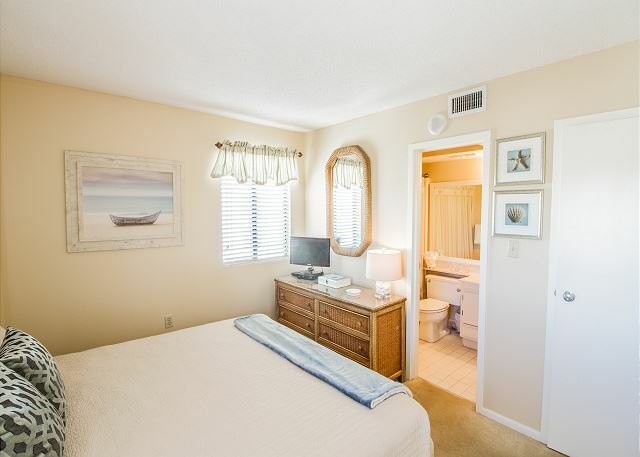 Second King Room with Beach and Ocean Boulevard Views. All bed and bath linen included. 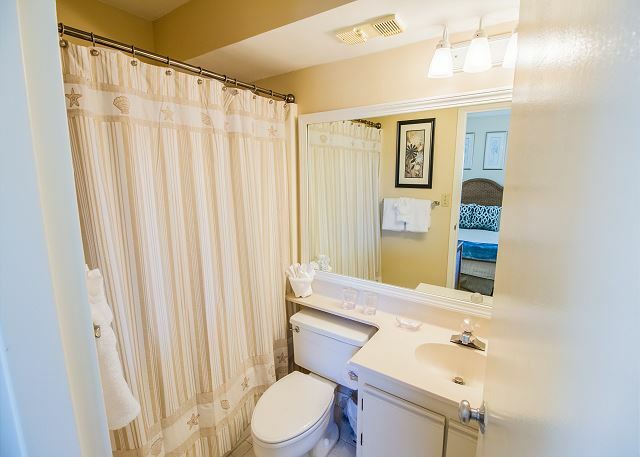 Third Private Bath Attached to Second King Room and all bath linens included. 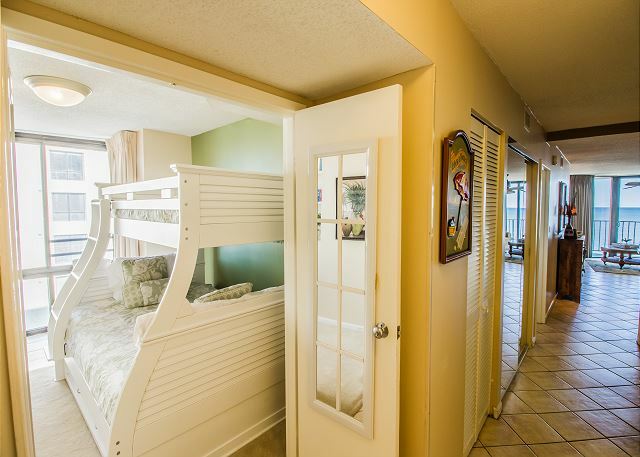 Middle Room with Queen & Twin Bunk Beds and Pull-Out Twin Trundle Bed -- Sleeps 4. All linen included. 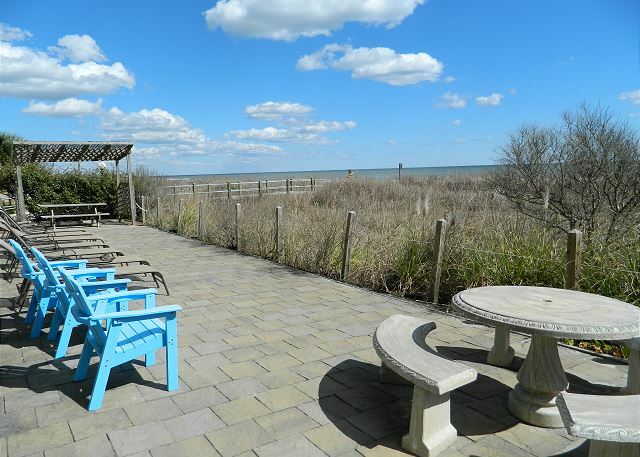 Upon entering this renovated, spacious condo you will see it is not your typical beach rental. 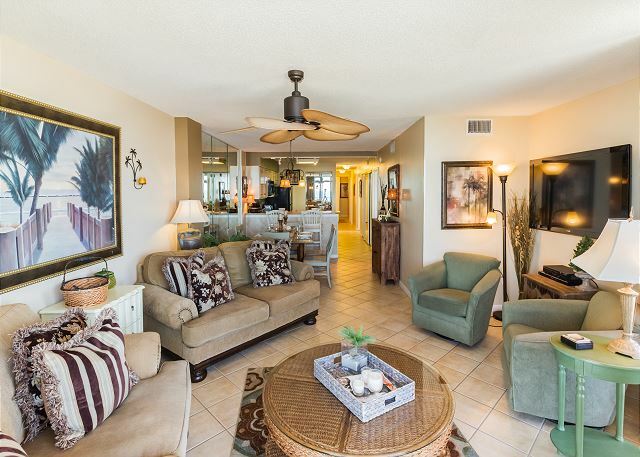 We’ve decorated and equipped this condo for our comfort, and yours. The 7th floor end unit views will be magical. There's upgraded 18'' tile throughout, w/ carpet in 3 of the 4 bedrooms, new 2'' wooden blinds in every bedroom and 22'' flat screen TV's/DVD players in the bedrooms, in addition to the 55'' flat panel TV w/ Blu-Ray disc player in Living room. The owner does offer an upgraded "Silver Package" with the Spectrum cable service. As a corner unit vs. an interior unit, all 4 bedrooms have at least a peek of ocean view where you can watch the sunrise from bed! Or grab a front row seat on the furnished balcony to eat breakfast, read or do your computer homework with the free Wi-Fi. The large space wraps from the LR to the Master so incredible views of wide-sandy beach for miles! The Living Room's most phenomenal feature is its ‘walls of windows’, with a panoramic view of the Atlantic Ocean facing both East and North. It has a 55'' wall-mounted flat panel TV with Blu-ray disk player (featuring Netflix), two extra-deep, over-sized loveseats and two plush swivel rockers. 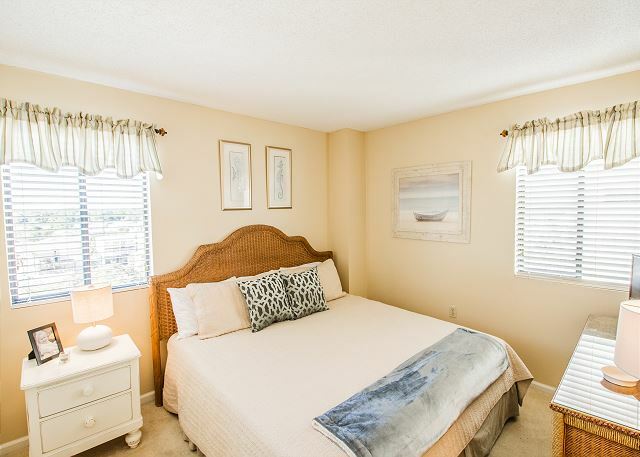 This spacious room is great for family relaxation or afternoon reading followed by a nap!!! Black-out curtains will allow for guests sleeping on the couch to enjoy a little downtime. 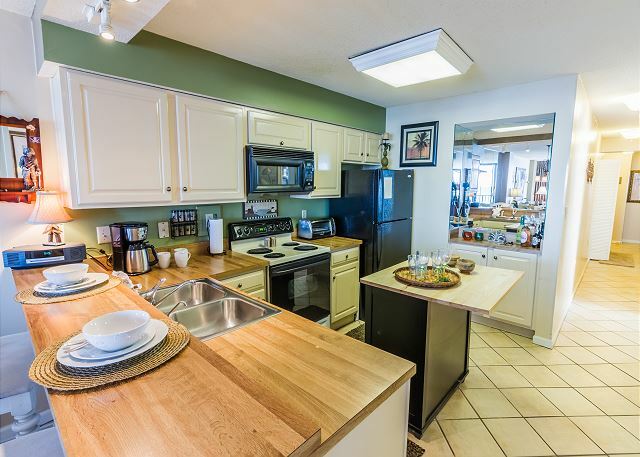 The Kitchen has full size, upgraded appliances and an expandable kitchen island for food prep. It’s fully stocked for cooking and serving large meals. We have all the plates, platters, pots, pans, cups, bowls, cookware, gadgets, glasses and stemware you'll need, as well as some plastic ware. For your happy-hour enjoyment, there’s a blender for margaritas. Plan for after-dinner coffee and dessert on the balcony. there is a large pantry and plenty of additional storage space in the cabinets. A full size washer and dryer are located in the hallway, and the trash chute is easily accessible just outside the front door. 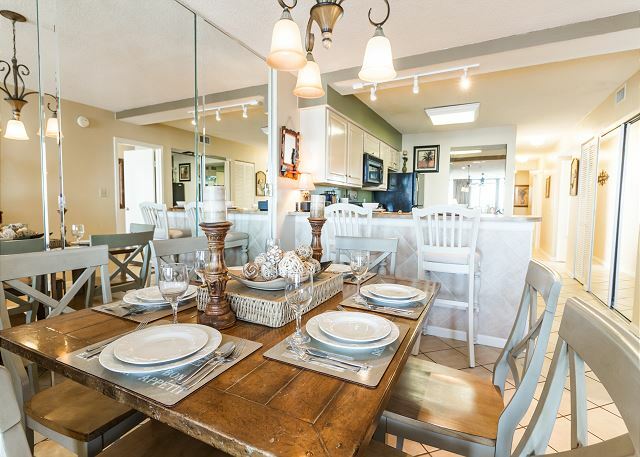 The Dining Room table seats 8, perfect for lively meal conversation and family games/puzzles. For a more intimate meal, the center leaf of the table can be removed. The mirrored wall allows you to watch TV or the ocean from anywhere in the room. The adjacent breakfast bar provides additional seating. The oceanfront Master Bedroom is decorated in warm peach tones with off white wood furniture. 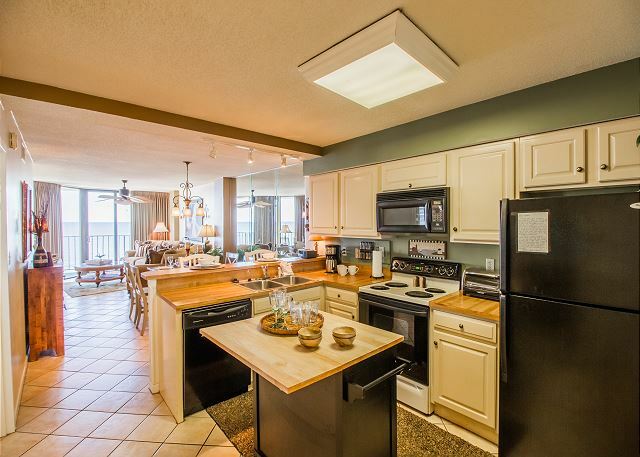 It has sliding doors that lead to the oceanfront balcony and features an outdoor breakfast/card table. 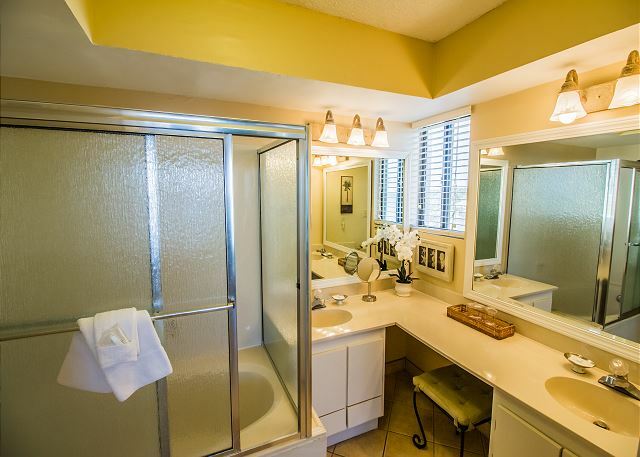 The Master bath has natural light from its own corner window. It also has a hairdryer and makeup mirror. Guest room 2: New double/twin bunk bed and a pull out twin trundle bed, a 22'' flat screen TV w/ a DVD/VHS player. 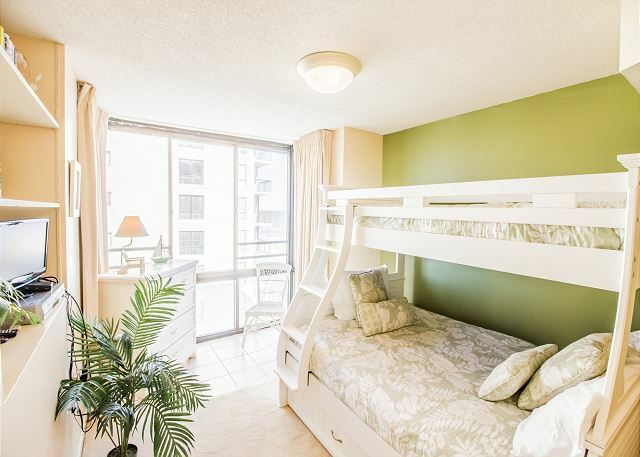 Nicely furnished in white and soft green, with plenty of room for the kids to sleep & play. It has a tiled sitting/play area in the bay window overlooking the ocean and includes a video/book 'take one/leave one' lending library. Guest room 3: 1 'long' queen bed overlooking the ocean plus a 15'' TV/DVD player. 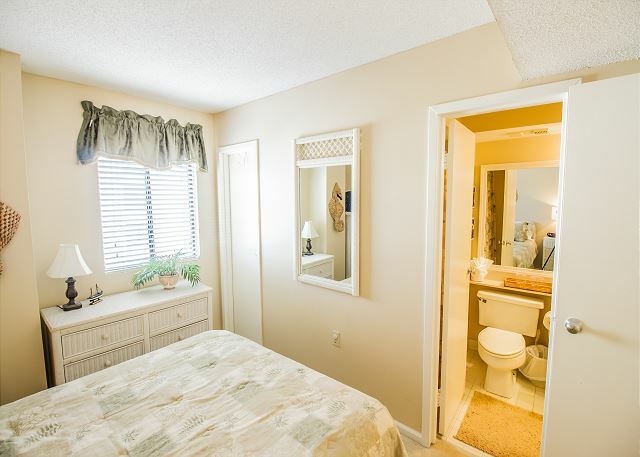 This room is decorated in tans/greens with white wicker furniture and shares the main bath which is a stand alone shower. Guest room 4: The ‘Mini-Master’ has 1 king bed and its own full bath with a tub/shower combo, as well as a 22'' flat-screen TV/DVD player. 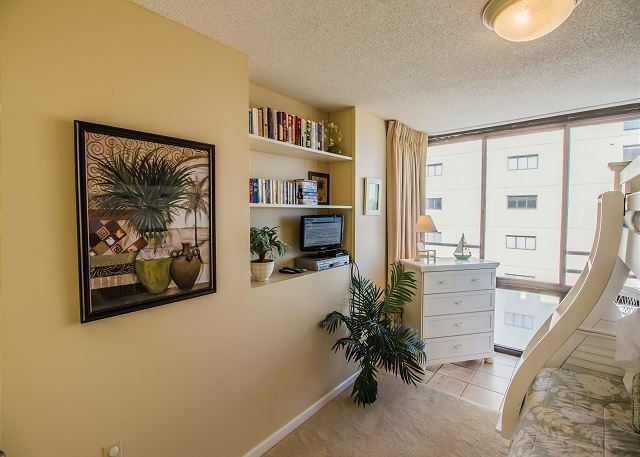 This bedroom is in the rear of the condo with two windows…one with a side ocean view and the other an Ocean Blvd view. 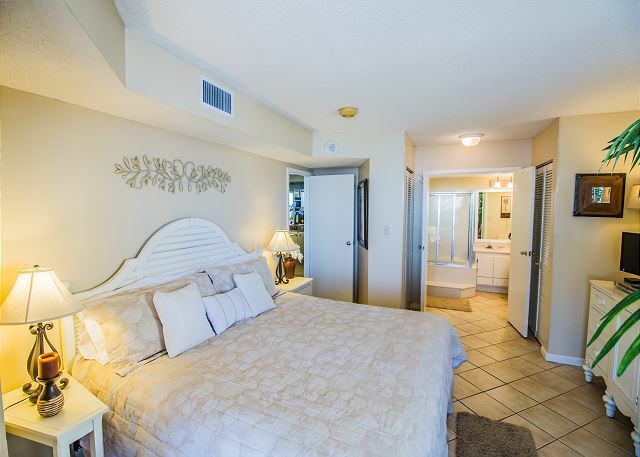 This mini-master suite is decorated with new bedding and provides the most privacy to guests. The Summit is ½ mile from one of North Myrtle Beach’s most popular destinations - Barefoot Landing (House of Blues, Alabama Theater, shopping, etc. ), with shops and dining that border along the Intracoastal Waterway. Barefoot offers a variety of restaurants for any mood, unique shops and several attractions for those strolling through this destination complex. There are also grocery stores and ‘spirit’ stores within a matter of blocks. 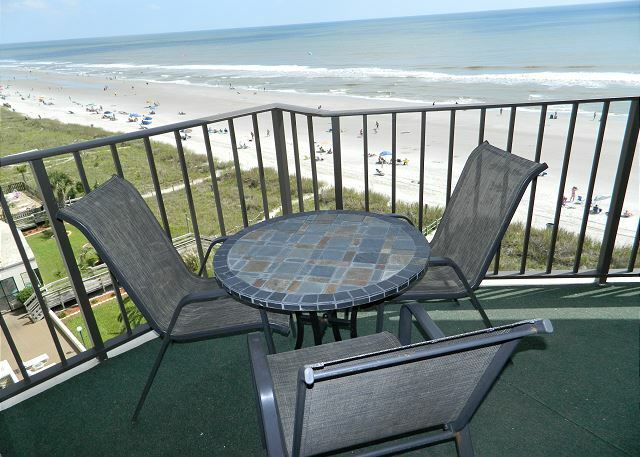 It's easy access for all things North Myrtle Beach has to offer. The condo was gorgeous. A little outdated in bathrooms but the location was amazing!!! Highly recommend this condo to anyone. Thank you for taking the time to share your review. 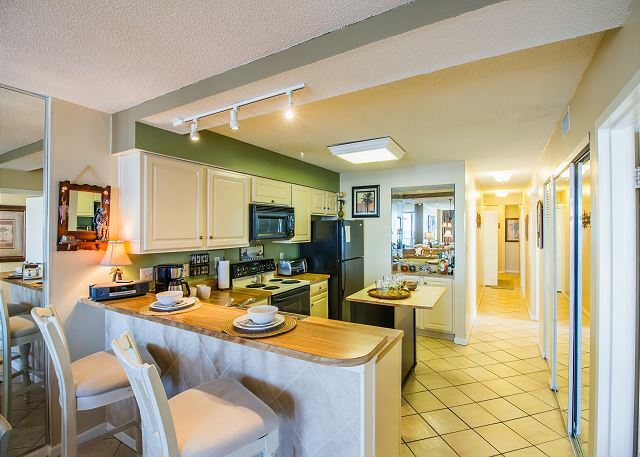 This condo is well-kept by the owner, from fine furnishings and comfortable bedding to kitchen essentials. The balcony views are fantastic. Every detail is accounted for to offer your family a great beach escape and the royal treatment for yourself. 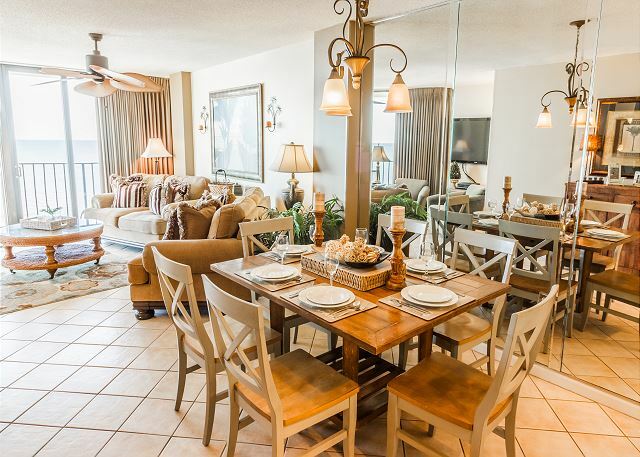 The Summit is located in the heart of Windy Hill Beach and that means just minutes to enjoy the best restaurants, themed-attractions, golf and live entertainment for your entire group. BareFoot Landing is a favorite hot spot for kids, and even adults that feel like being a kid on vacation. We are delighted that you chose to stay with us and look forward to seeing you next year. Thank you for your review. A simple "GREAT" goes a long way. 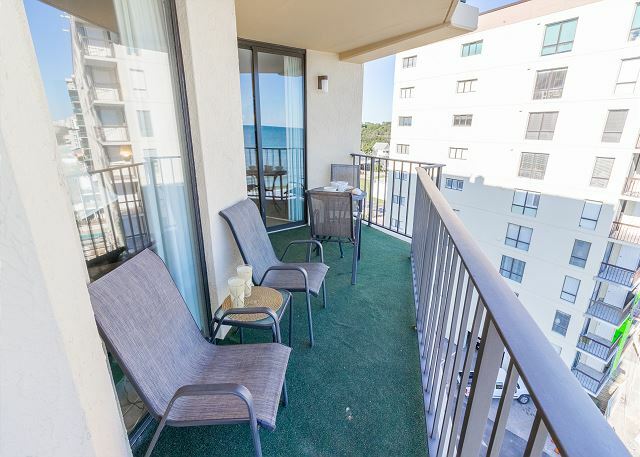 We hope you did enjoy how well-appointed this owner keeps their condo and the fabulous views from the balcony that are complimentary with your stay. 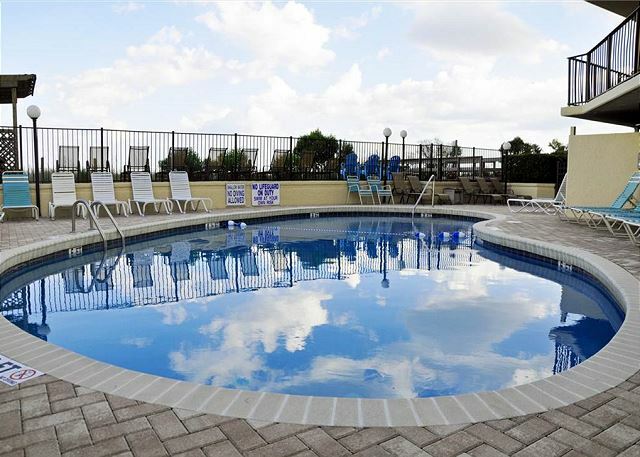 The Summit is located in Windy Hill, ocean front to some of the prettiest white beaches along the Grand Strand, and just minutes to all of the shopping, dining, adult music entertainment and kids' excitement, too, that BareFoot Landing has to offer. It's the best of all worlds for every family member to enjoy. Thank you for being our guest and we hope you will return. to have more parking close by. Thank you for leaving a kind review. The Summit is a popular complex in the hear of Windy Hill beach. We do offer guests to use our office parking lot if ever there is a shortage of parking at the community and we are just a mile or two away. This condo is a well stocked and well-appointed end unit, so balcony views of sunrises and sunsets are extra spectacular. Please call us again if you make plans to return. We arrived early because we were informed our rental was available at 10am instead of 3pm. This basically gave us a while extra day! The office was responsive and handled anything I needed. Super clean unit! We had available resources to continue keeping the unit clean while we were there. Plentiful amounts on linens and pillows. The unit is a little dated, but nothing that keeps it from fully functioning. Check in and check out was simple and pain free. Pool was clean and warm. The building had easy beach access with places to rinse feet and beach things off. If I had one thing to complain about, it would be that both of my vehicles couldn't park in the main parking lot. We truly had a great experience. WOW thank you for the perfect 5 rating! 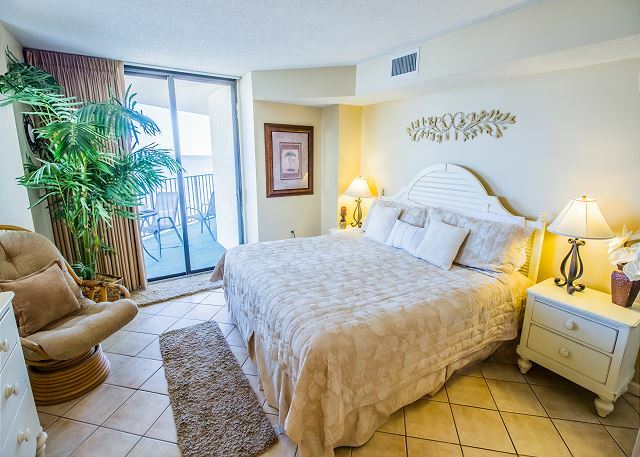 We are happy to hear that you had a wonderful time in The Summit 7A, it is a large condo on a great part of the beach. Our staff try and make things as fast and simple as possible to get in and out as we know your vacation time is precious. Thank you again for staying with us and for taking the time to complete the survey, we hope to see you again. Enjoyable as always. Unseasonably cool Spring in Myrtle this year (2018). We have stayed at The Summit in 7A for 4 years in a row and this condo is really great for our family. 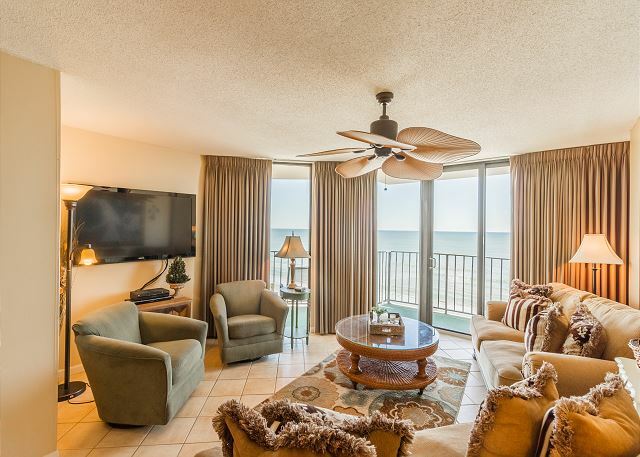 Beautiful furnishings and ocean front! Would recommend it to everyone that wants a quiet and peaceful vacation. Thank you for staying with us at The Summit #7A and for taking the time to complete the survey. This is a beautifully furnished unit with amazing views just as you said and if it is peace and quiet you want, all you have to do is come here. Thank you for staying with us and we hope to see you again. Second time we have stayed at this condo. Very clean and well maintained. Great location with plenty of restaurants close by. Property Management group is very professional and does an excellent job in providing needed services. No issues at all. Would recommend this condo to friends and we will stay here again.